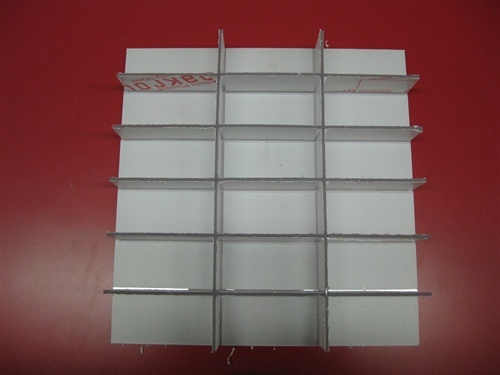 Exact Drawer Width*: - 11 5/16" 11 3/8" 11 7/16" 11 1/2" 11 9/16" 11 5/8" 11 11/16" 11 3/4" 11 13/16" 11 7/8" 11 15/16" 12"
Exact Drawer Depth*: - 11 3/4" 11 13/16" 11 7/8" 11 15/16" 12" 12 1/16" 12 1/8" 12 3/16" 12 1/4"
Drawer Insert Height*: - 1 1/2" 1 3/4" 2"
Precision Plastic Products: Orthodontic Alastic Organizer built to fit Dexta Perfection Series Cabinet Model 242/243. Organize your alastics by color. Dexta's Standard Drawer Dimensions are 11 3/4" wide x 12" deep x 2 1/4" high. It is the customer's responsibility to confirm these measurements are correct prior to ordering. Precision Plastic Products Inc. manufactures the drawer insert 11 5/8" wide x 11 7/8" deep x 1 3/4" high unless otherwise noted on order form. 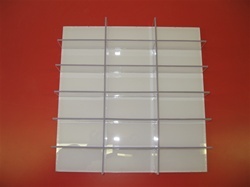 Product is made from 1/8" clear polycarbonate (Lexan). 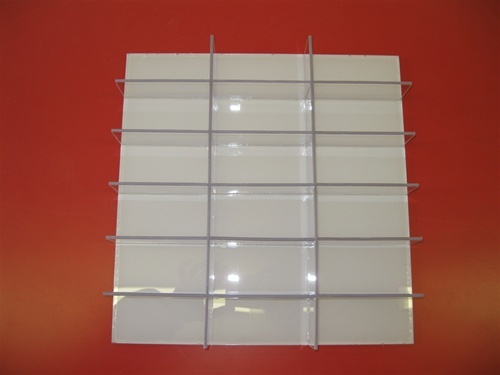 Photo is taken with paper still on product to help display. 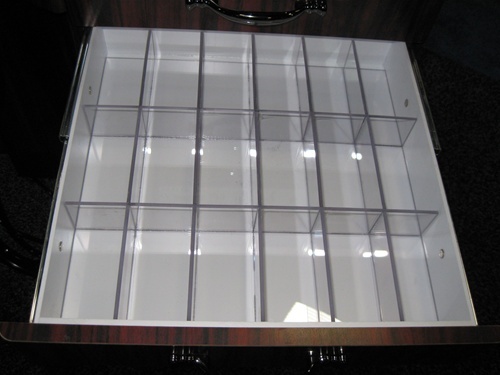 Organizers are built based on customer's dimensions and specifications.